Just as I started to prep for fall (I have been fall crafting, bookmarking recipes and stocking up on fall candles), summer seems to still be in full swing with these 90 degree temps. This weekend I will be cranking up the AC, lighting some summer scented candles and baking a French inspired dessert. What will you be up to this weekend? Nicole by OPI Lifesaver from the Justin Bieber collection and OPI Mermaid Tears for an accent. those are candles??? i thought they were food at first! so cute! I just started burning my fall candles as well! Love those muted nailpolish colors! I was just talking about taking a trip to the zoo! It really is the perfect activity to do while it is still nice out, but not super hot!! Enjoy your labor day weekend! love fall scented candles!! i can not wait for fall to get here!!! i am so over these 90 degree days! love the bright nail polish! i may have to try that!!! have a fab weekend! My nails are almost that same greenish color. I've gotta make a stop into Bath and Body Works for some candles. I love their stuff! Soooo many candles! This will be the first time in a long time for me actually having time to "prep" for fall. My prepping has more to do with food stuffs, though, because of my food choices. So I'm going to be super busy preserving vats of homemade tomato sauce and preserved veggies! Love the color of the nail polish!! Have a great weekend dear! 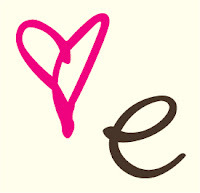 Thanks for following us! : ) wow it's unbelievable how much muted nailpolishes you have! LOVE them all! We follow you now too. I just had to grin at the "Justin Bieber" nail polish collection. Love the color of your nails and the necklace you are wearing with your braid! Those candles must smell amazing. I love Bath&Body. that is a great nail color... have a great weekend! 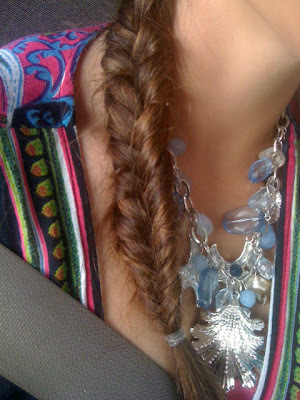 Love the fishtail braid - I've never been able to figure out how to do that!! Loveeee bath and body works candles! Please teach me how to braid!! Like your mermaid nail color, so cute! Have you tried the Butter brand nail polish yet? A little pricier, but stayed on after some heavy beach time! Agreed! It's so hard to get in the fall-mood with all of these HOT temps!!! I'm lovin' that braid!